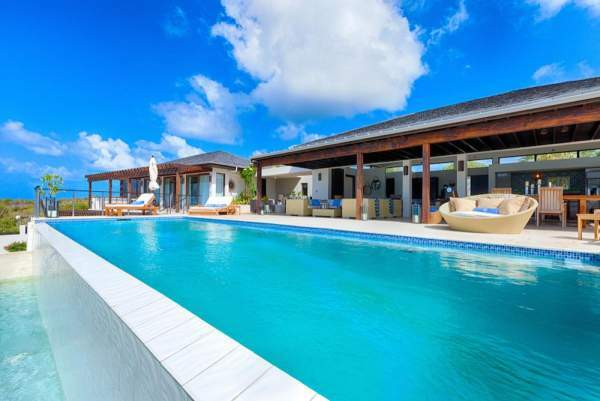 These are the 80 most popular villa rentals in Anguilla. Narrow your search above. 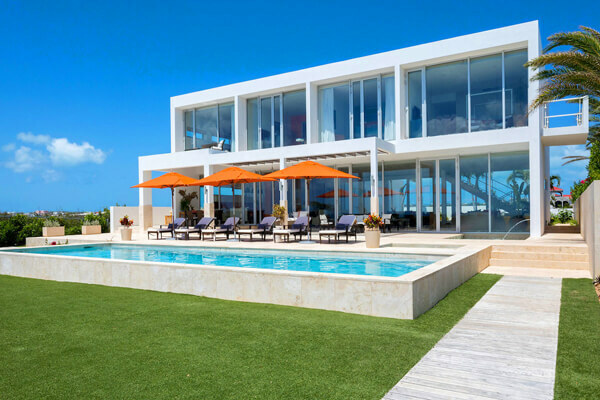 Ultra-modern upscale Anguilla villa with glass walls that face the sea. 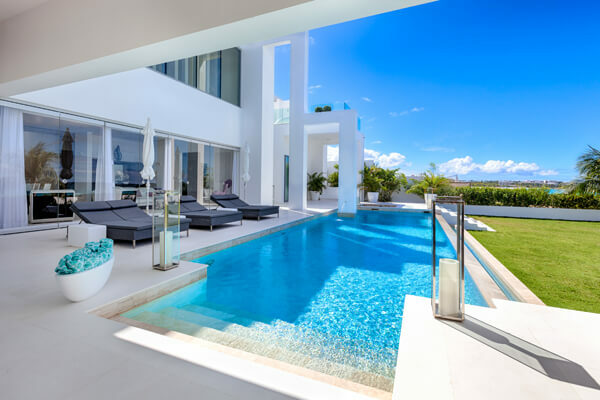 The drinks never stop flowing at this stunning, modern home with breathtaking ocean views. 1 & 2 BR rates available. Your own small, private beach and great views to boot. 1, 2 & 3 BR rates available. 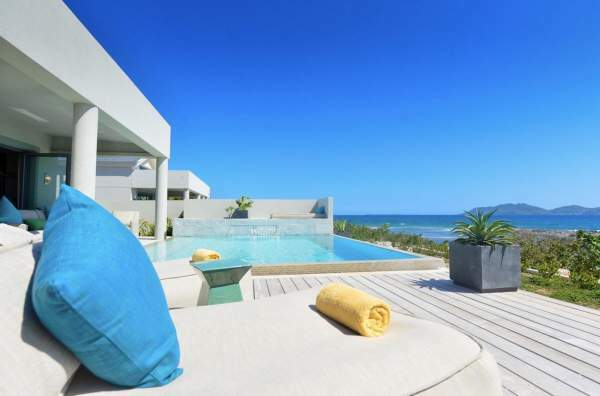 Warm, open interiors and stunning views combine in this oceanfront villa. 3, 4 & 5 BR rates available. Tropical luxury on Sandy Hill Beach. 1, 2 & 3 BR rates available. 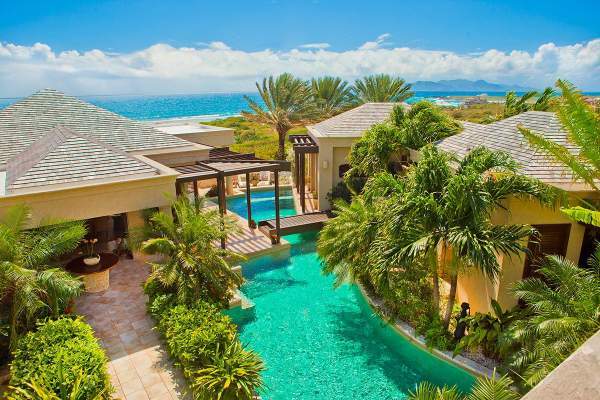 Secluded cove beach villa on Anguilla's famous south shore. 3, 4 & 5 BR rates available. Well-designed for two or three couples who want a convenient, quiet location. 2 BR rate available. 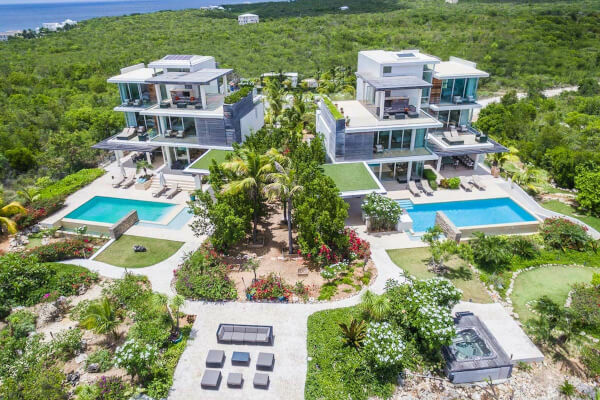 Huge luxury estate features two separate villas, a full staff, and incredible ocean views. 8 BR rate available. Short walk to one of the top-rated beaches in the world. 1 BR rate available. Inviting resort villa with five master suites and full service. 1, 2, 3 & 4 BR rates available. 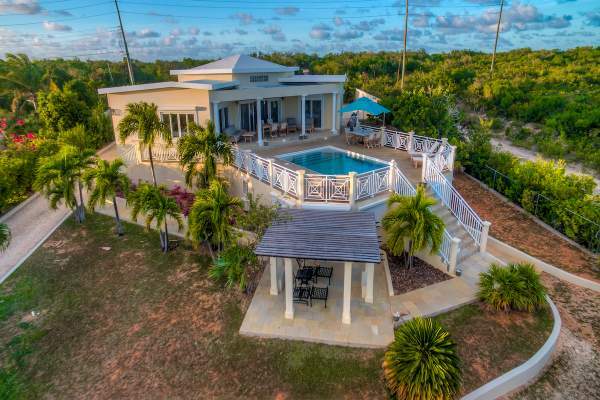 Affordable Shoal Bay villa with a large pool, open design, and a location five minutes from the beach. 2 & 4 BR rates available. Ultra modern and fully staffed villa with regal amenities. Has specials. 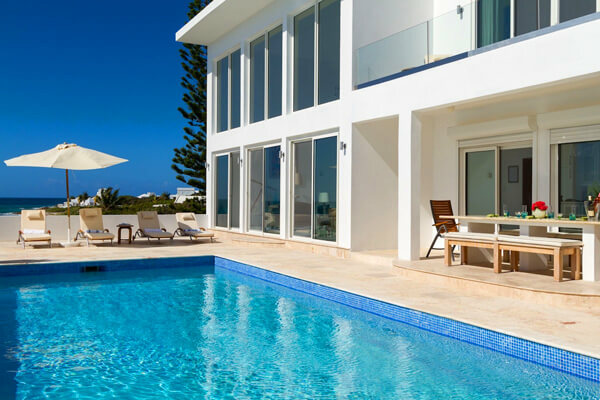 Looking to rent a villa in Anguilla? 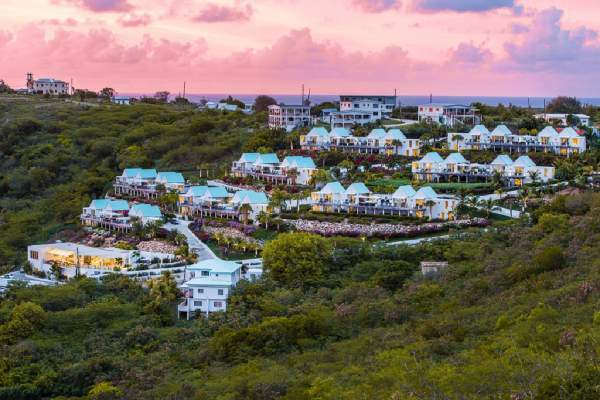 Noted for its white sand beaches and eclectic restaurants, Anguilla is the perfect Caribbean island for villa renters looking for a peaceful retreat. Named for its “eel” like shape, Anguilla is approximately 16 miles long and 3 miles wide, making it easy to get from your island home to all parts of this small country. Famous Shoal Bay East beach and Scilly Cay are the main attractions on the east end of the island, which is otherwise less developed and quiet. As you head west you’ll find multiple beaches, our preferred being Meads Bay. Here you’ll find less crowds and one of our favorite eateries, Blanchards Beach Shack. 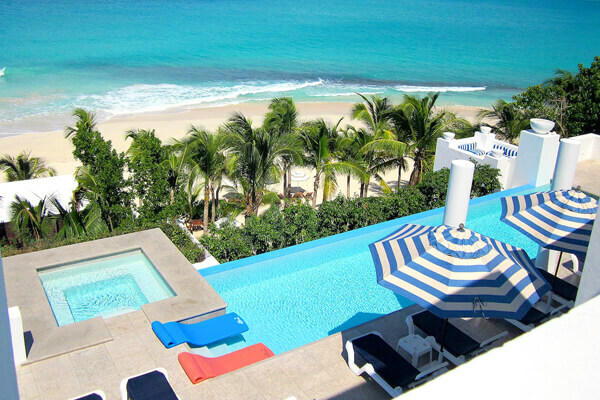 Anguilla is the perfect island for villa rentals. Anguilla offers scenic and natural Caribbean beauty with miles of white sand beaches, turquoise waters, and a laid-back vibe. With 12 miles of pristine beaches, Anguilla is ideal for sunbathing, swimming and relaxing. Villa rental clients can enjoy a variety of activities and watersports, including snorkeling, diving, and even swimming with dolphins. 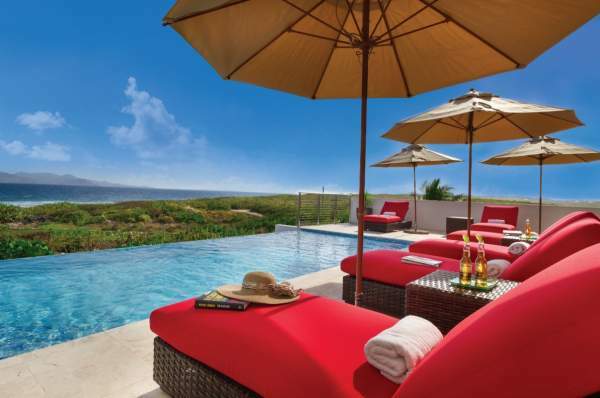 From luxury Ani Villa to Villa Alegria, the island has a wide variety of vacation rentals to choose from. Not known for its busy nightlife, shopping or casinos, Anguilla is celebrated for being a peaceful place to slow down and recharge the soul. From the calming rifts of Reggae to the island’s renowned lobster and barbeque, there’s a flair for food and music on Anguilla. Villa rental guests can enjoy heading to Dune Preserve Restaurant/Bar in Rendezvous Bay. This island hot spot is owned by Bankie Banx, a native Anguillan Reggae artist. Art is another big part of the island life with numerous galleries featuring local artists. For the history buff, why not book a free tour of Wallblake House. This well-preserved sugar plantation is located in the capital city of The Valley. Although shopping is not a big part of Anguilla, a short ferry ride to St. Maarten will take you to an array of local shops where you can pick up clothes, jewelry, and other island souvenirs. Then, after a day of island hopping, you can pop open a bottle of wine and watch the sun set from the comfort of your private verandah at your luxury villa. Most of our vacation home rentals come with a private swimming pool, fully equipped kitchen, and lots of space for relaxation. 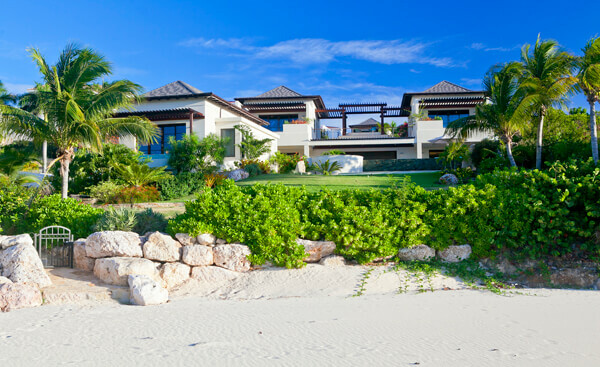 Although beachfront villas are somewhat limited on Anguilla, many of our homes offer beach access. Numerous vacation rentals also offer hot tubs and fitness rooms. 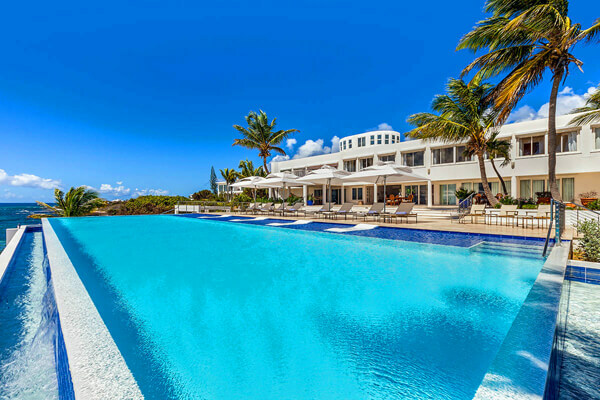 The great thing about our Anguilla villas is that there’s an array of choices and something for every budget.